Using chemicals to gain access to creative freedom is a dangerous strategy. Alex Toth confided that he would settle in at the drawing board with a gin and tonic (or maybe I’m confusing him with my father). I prefer a combination of pot and booze myself, though only when working on paper, old school analogue so to speak. I’m not confident enough on the computer, especially using Photoshop or Storyboard Pro, to alter myself in that way. 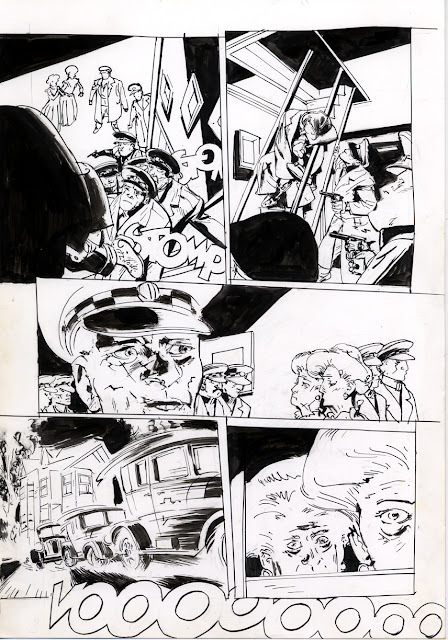 This is page 8 from issue #3 of "The Strange Adventures of H. P. Lovecraft”, illustrated by Tony Salmons.